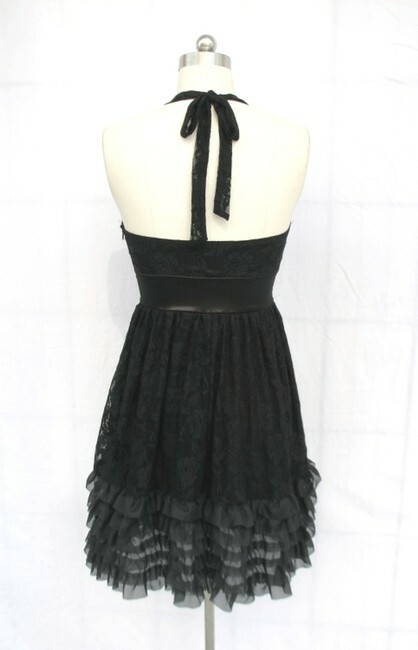 Black Rose Lace Halter Dress. Beautiful rose floral lace, with sequins detail on waist and ruffles on bottom, and halter tie around neck. Very stunning dress! 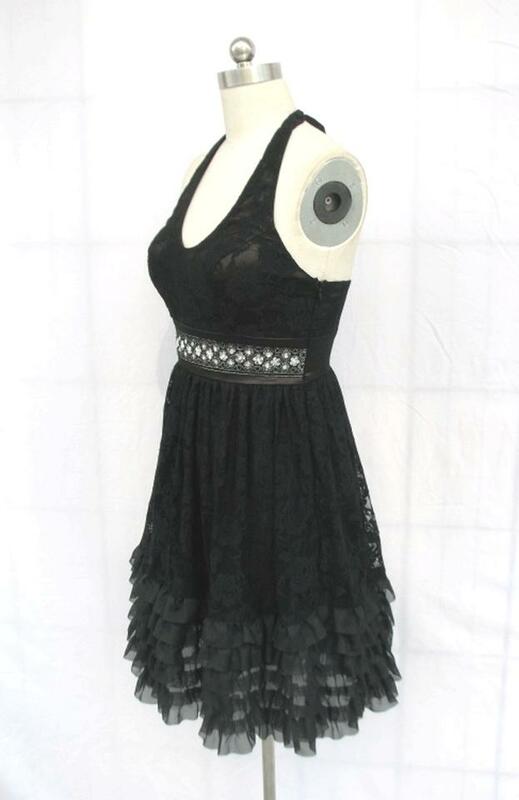 COLOR: Black; TAG SIZE: Large; MEASUREMENTS: bust 36-38 inches, waist 30 inches, length 27 (armpit to hem) inches. 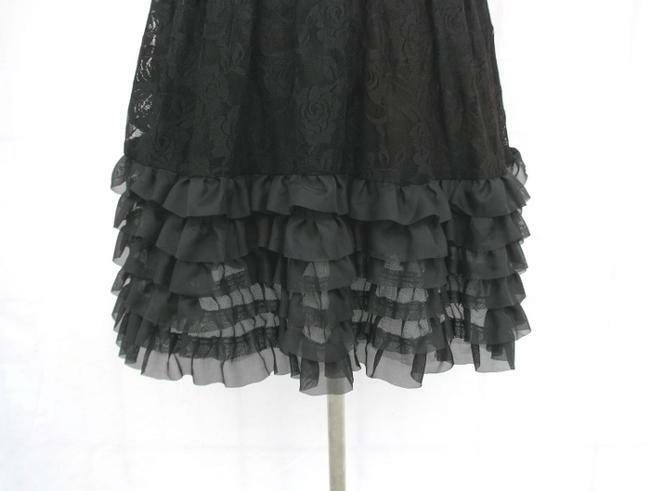 ** I also have this dress style available in other sizes/measurements if you are interested - just ask :) Thanks for looking!